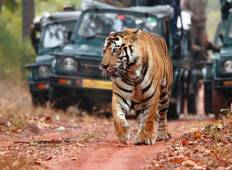 Find a Adventure trip that explores Ranthambhore National Park. There are 12 tours to choose from, that range in length from 4 days up to 23 days. The most popular month for these tours is December, which has the most tour departures. 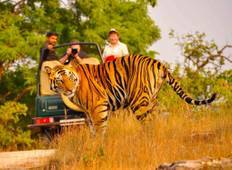 "Our trip with Golden Triangle tours was amazing. Our driver Avinash was always punctual..."
"Exciting trip, much more than expected. Expertise and friendliness of our Tour leader..."
"A packed itinery made sure we saw and did lots of things. It wasn't arduous but we..."